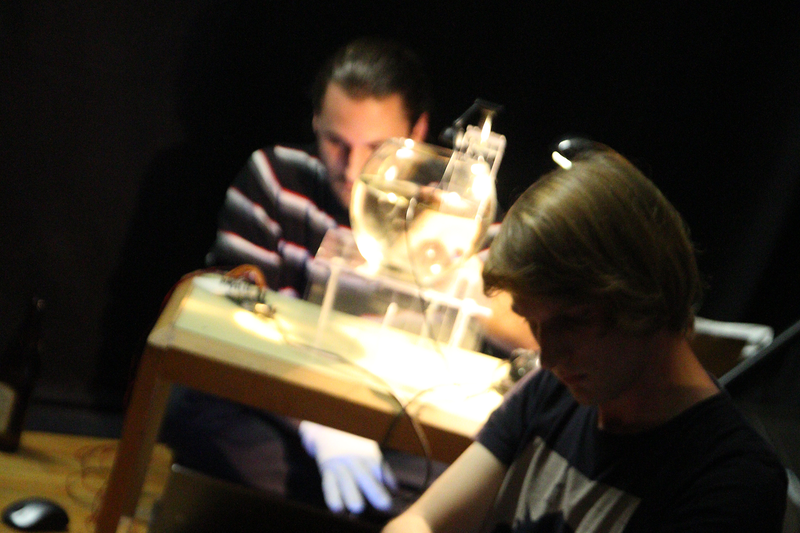 As part of the lecture Playful Interfaces in my master´s studies in Interface Culture students had to develop an electronic music device on their own. At the end of the semester every project was shown at a concert evening, where we presented our own developments. In my case I chose to get the basic information of my sound synthesis from an analogue medium. Preferrably a Ferrofluid that can only be influenced indirect by a strong magnet. 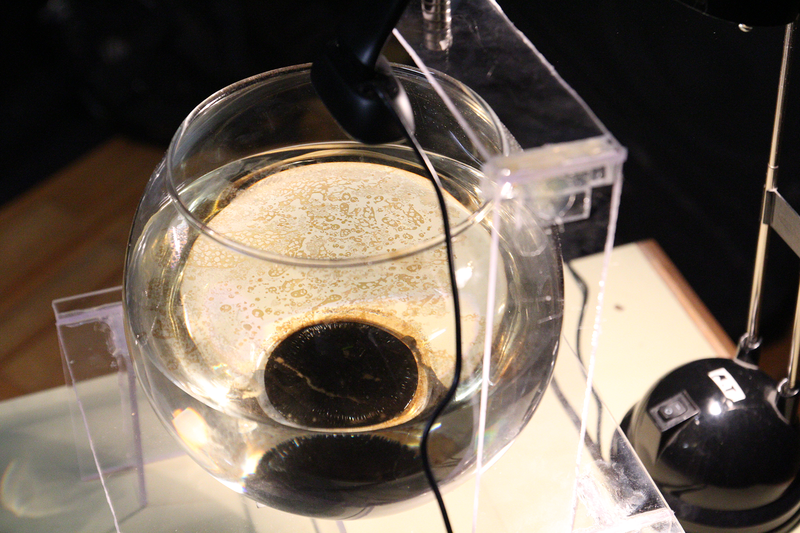 Thus, in a clear carrier solution the Ferrofluid was able to flow freely with small attraction from a strong magnet manipulated outside. 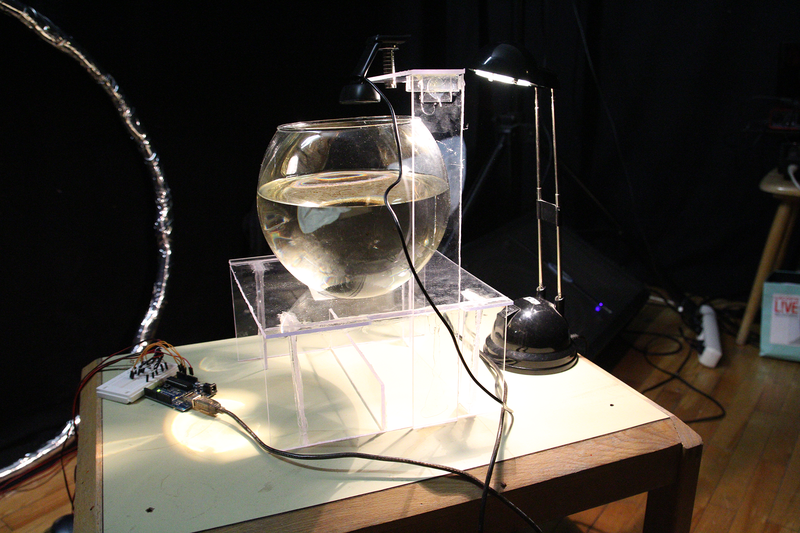 Right after this, the sonification involved a custom-built bending sensor data-glove to interact with the sounds triggered by the fluid´s movement dynamics. Bending the fingers leads to the feeling of forming the sounds by controlling several synthesizer parameters.